If you are thinking of selling your Indianapolis area home, now is the time to plan for success! This begins with gathering current information about your home’s market value. There can be significant differences in home prices within the same Indianapolis neighborhood. For example, a home within walking distance to parks, shopping and dining, could command a higher price than a similar home several blocks away. In another case, two homes that are relatively similar, located near each other, could vary widely in price depending on home condition. When you receive a Comparative Market Analysis, you will see specific examples that help pinpoint the best price range for your home. And while your agent will recommend a price range based on local market research, the actual selling price is up to you! You may find it tempting to price your Indianapolis home as high as possible, in the hopes that it will sell at a premium. However, this can backfire for several reasons. First, homes that are more expensive than comparable properties tend to linger on the market. The longer your home stays on the market, the harder it is to generate buyer interest. Even after a price reduction, buyers may assume there’s a negative reason behind the unsold home. 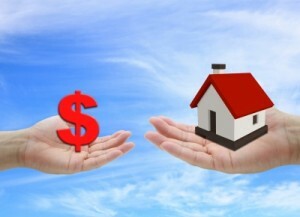 If your buyer is financing the home purchase, your home is also subject to a bank appraisal. The appraisal looks at value with a jaded eye, because the lender is concerned with recovery value, in case the buyer defaults on the loan. If your home price is not justified with the bank appraisal, your buyer will have to make a larger down payment, or cancel the deal. Before you market your Indianapolis area home, get the expert advice of the Heard Real Estate Team! We will be happy to provide you with a Comparative Market Analysis and pre-sale consultation, free of charge. There is no obligation to sell your home. Contact the Heard Real Estate Team for your home value consultation!